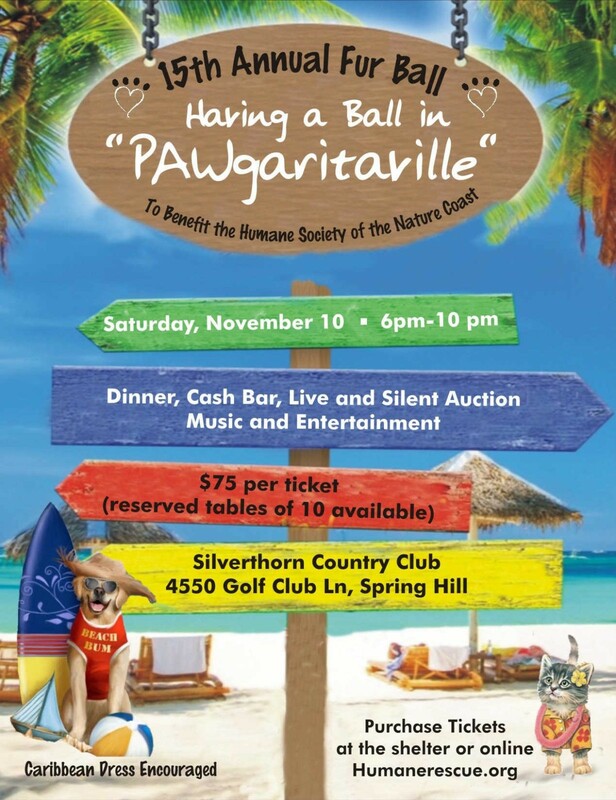 15th Annual Fur Ball Gala to benefit the animals of the Humane Society of the Nature Coast November 10th, 2018! Be our Partner in Saving More Lives! Each level includes various benefits and advertising opportunities. Please Click Here for Sponsorship Opportunities! Please select a level if you would like to help the Humane Society of the Natural Coast with a sponsorship. Please contact us and see how you can help.